Race Win for Aiden Moffat and Laser Tools Racing! Wow. Just wow. 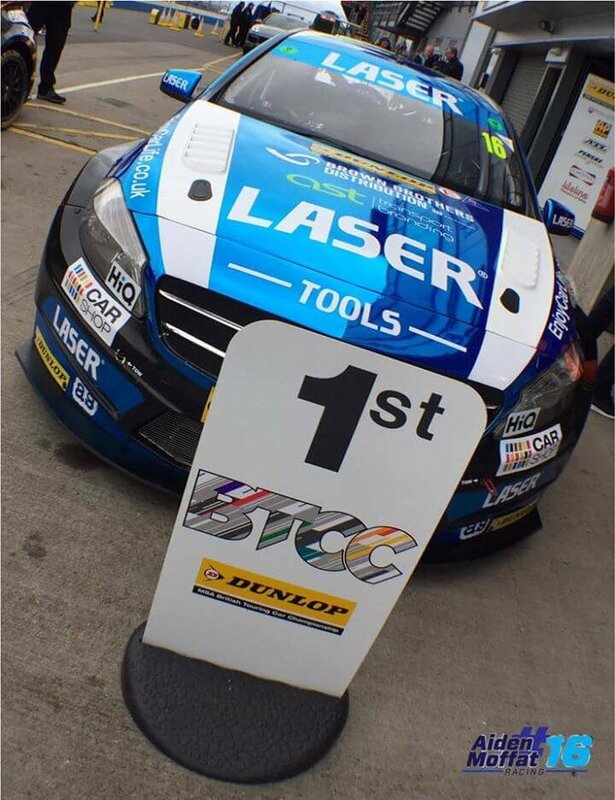 Those of you following BTCC on ITV4 at the weekend wouldn’t have failed to have noticed the impressive performance that young Aiden Moffat was putting in during testing and qualifying in his Laser Tools Racing Mercedes A Class. Showing a maturity way beyond his years, Aiden carved through the grid traffic to find himself sitting pretty in qualifying in position 4, behind Austin, Goff and Ingram for the first race at Donington Park. Those of us watching would also have recalled the way Aiden confidently sliced through corners in testing on Media Day at the same track a few weeks earlier, seemingly having no fear on the apex as other drivers dabbed gently on the brakes before powering out the other side. Point to prove? Maybe. But more likely a huge confidence in his own abilities and that of his car. Aiden is no stranger to setting records as he still holds the title of the youngest ever driver to have driven in BTCC at the age of just 16. But Sunday’s performance was a record on an altogether different level, bringing praise from experienced peers and onlookers alike. His team, Laser Tools Racing, are a close knit bunch who eat together, joke together and travel together. This is perhaps one of the reasons young Aiden holds such maturity both in person when you meet him and behind the wheel on the track. He’s an extremely likeable chap too. Races 2 and 3 of the weekend weren’t bad for him either, with respectable 14th and 8th place finishes. This says as much about the set up and reliability of his car as it does about Aiden’s skills and confidence.